The information on this page talks about the ecosystem style of backyard fish ponds. 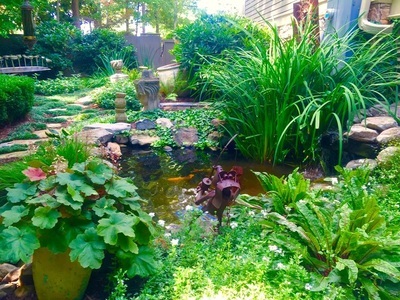 You have come to the right place for your new backyard koi pond or water feature. This type of installation is a advanced process that should be performed by a Certified Pond Installer, rather than a general landscaper. 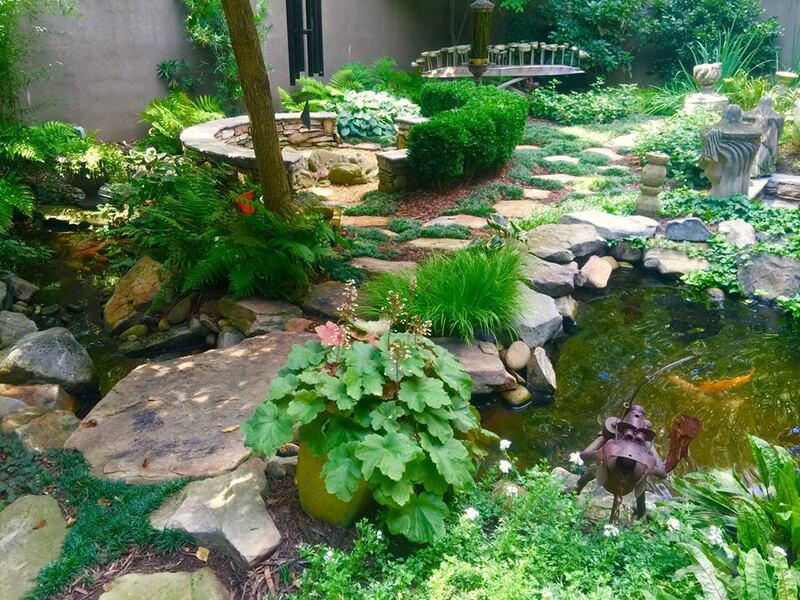 We can work alongside your current landscaper or landscape designer to properly add a water feature into your new landscape plans. 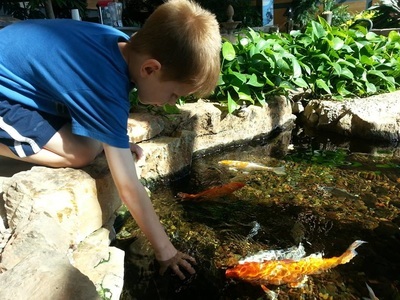 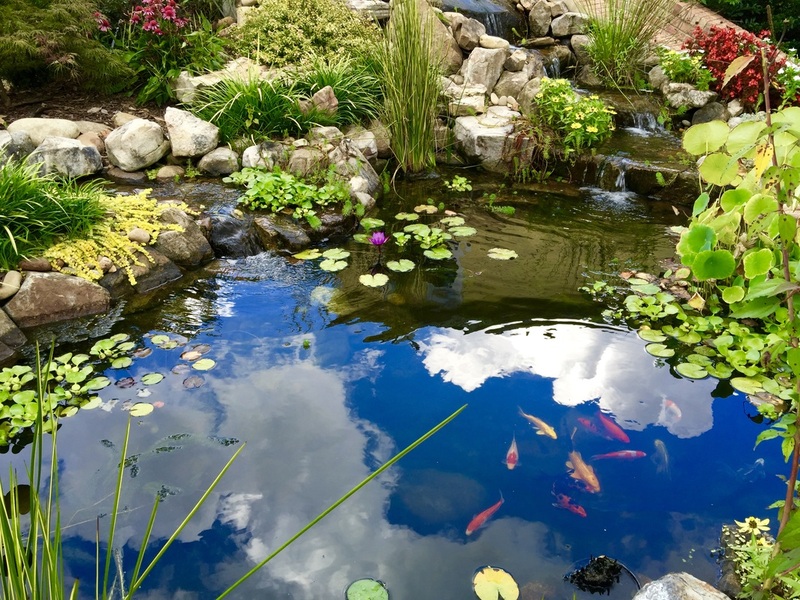 ​Your new project begins with a phone consultation with a master certified pond installer to help narrow down the type and size of backyard fish pond your are interested in. Together we will talk about different size and stream options and determine the best fit for your current landscape. 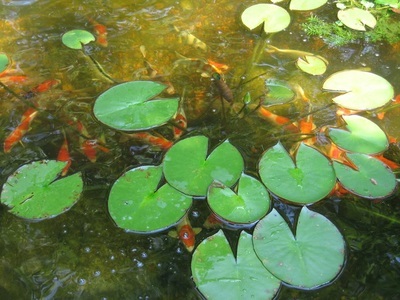 Aquascape Ecosystem fish pond filtration system. Illustration shows how all the filtration is hidden into your landscape. 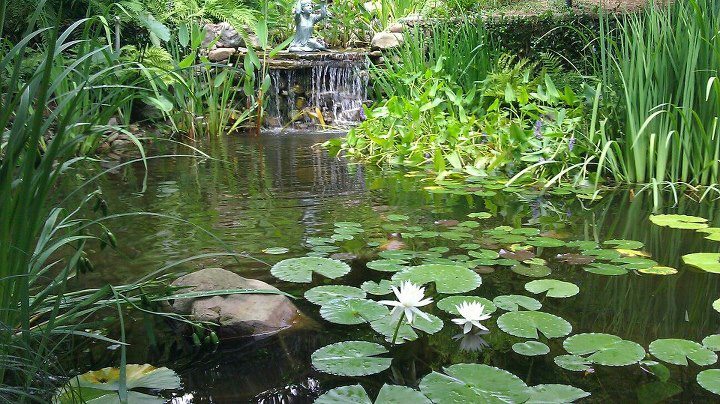 Few pond builders have a true sense of the art of construction and creation it takes to make your pond look real and function properly. We know the art of rock placement to complete a natural look. And we also know how to properly filtrate your pond so it will stay clear and be low maintenance. 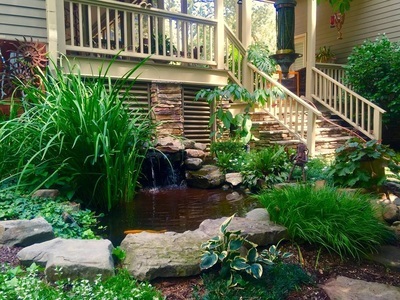 So just how does Paradise Ponds & Waterfalls know all these things? 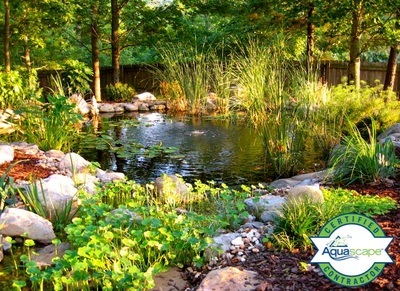 We are a Master Certified Aquascape Contractor, and are undergoing annual training to keep the prestigious designation. There are less than 300 Certified pond contractors in the United States, and we are the only one in Gwinnett County.